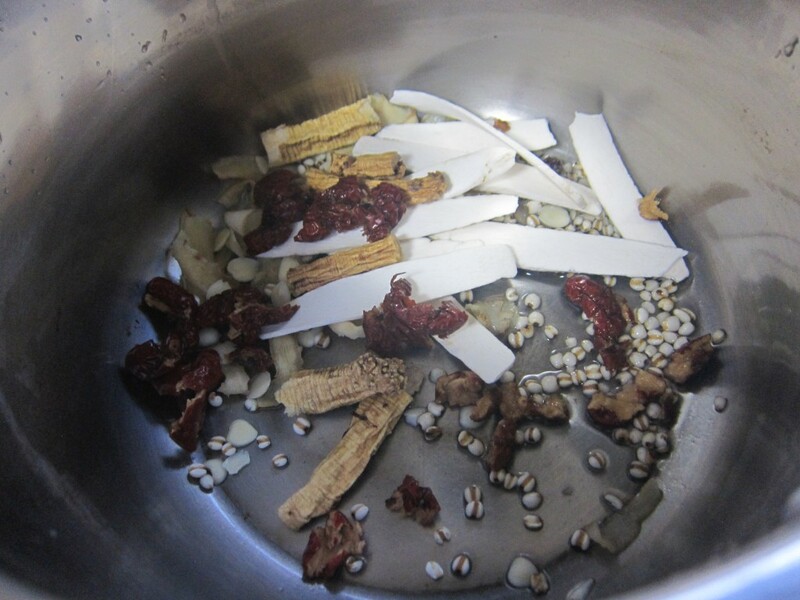 First, handfuls of barley and various dried Chinese herbs went into a pot: Wai sun (Chinese yam), yu zhu (Solomon’s Seal), red dates and almond seeds (which are actually apricot kernels, though no Chinese person calls it that). 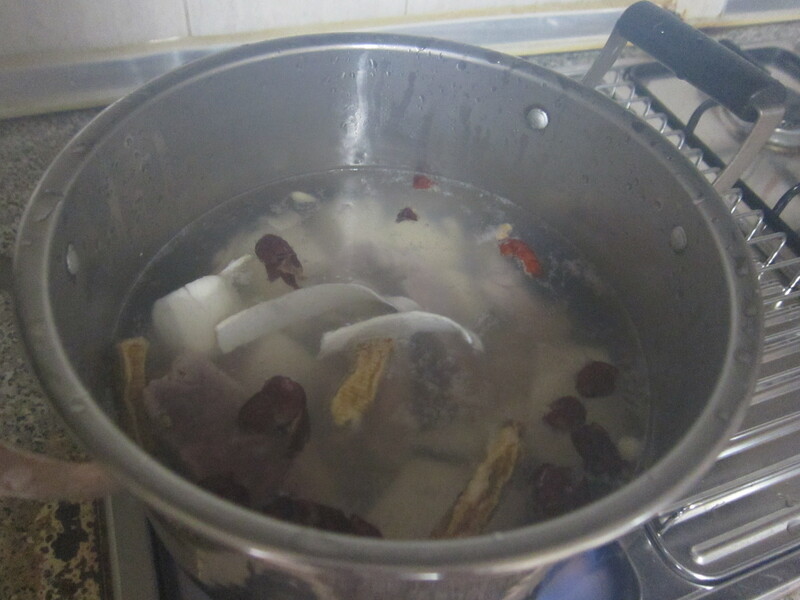 My mother is a big believer in the healing properties of wai sun so she added a fresh version of it to the pot, too. 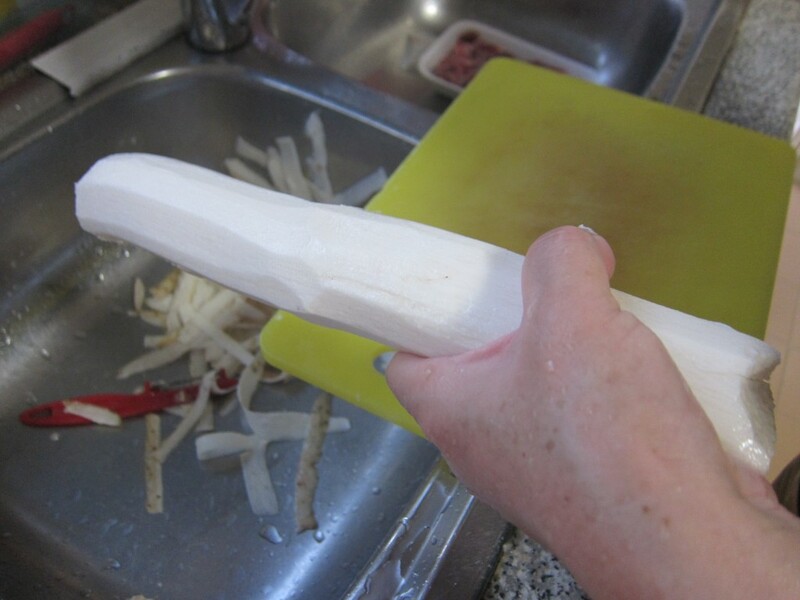 She usually peels it and chops it into large chunks. Next, she added in about 3/4 pounds of pork bones and enough water to cover everything and set the pot on the stove, boiling the combination for at least an hour. The soup isn’t anything terribly special, she’ll tell you — it’s just a comforting earthy porkiness designed to make anyone feel better. Also, she always tells me wai sun has rejuvenating qualities and will pep you up if you’re feeling run down. 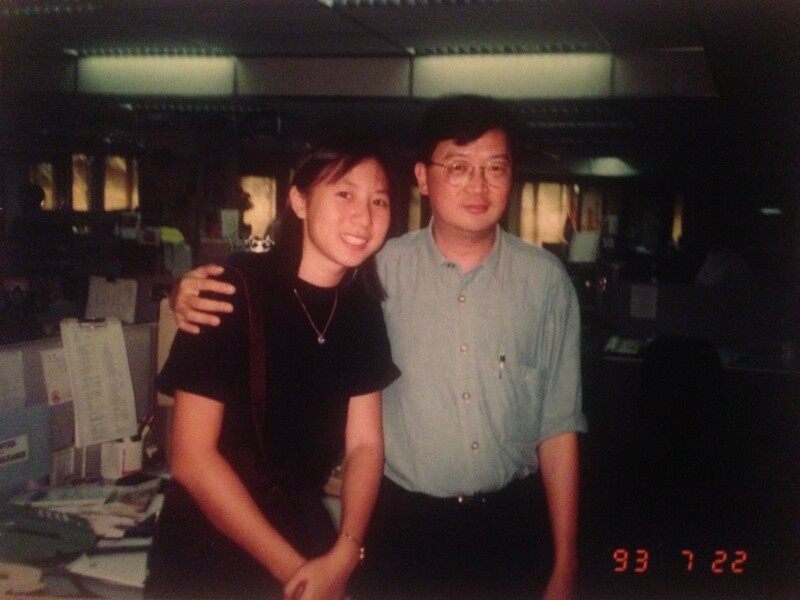 So, here’s to Felix and everything he did for generation of journalists in Singapore as well as Singaporean journalism. Thank you, boss, and rest in peace. Don’t forget to check out other Let’s Lunchers’ memorial dishes below. And if you’d like to join Let’s Lunch, go to Twitter and post a message with the hashtag #Letslunch — or, post a comment below. Small handful of seedless dried red dates, each one cut in half. 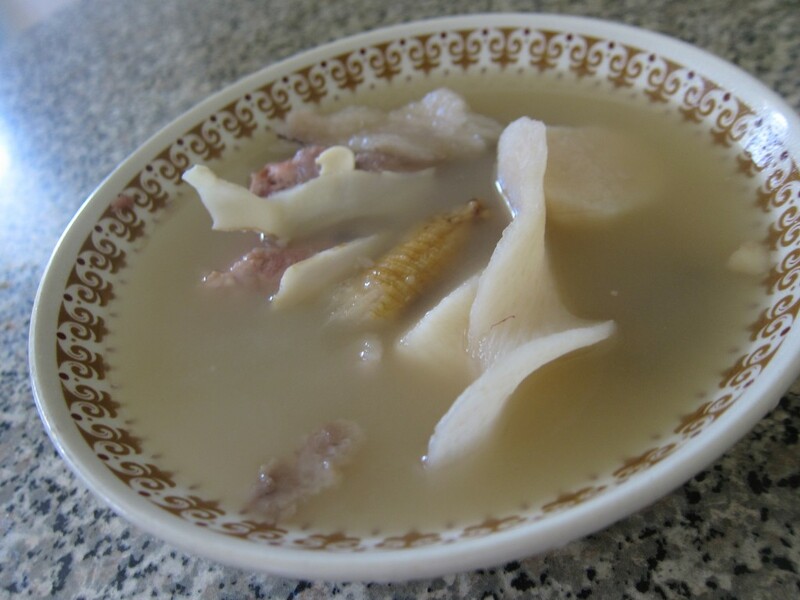 Place dried herbs, fresh wai sun and pork bones in a large soup pot, cover with water and boil for at least an hour. Serve immediately.